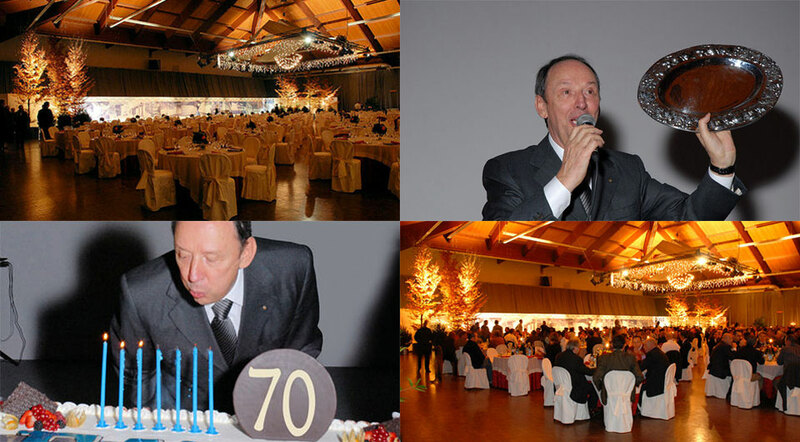 Recently, a special evening was held in Cento, in honour of a double celebration - the company Fava's 70th Anniversary and its President, Enrico Fava's 70th birthday. The splendid celebrations, magnificently organized with special attention paid to the choreography, highlighted the human and familiar sides of the Fava family, as well as the entrepreneurial and professional sides of this successful company. Employees, suppliers, authorities, friends and family were all there to celebrate this special milestone. Throughout the evening, the history of this company, characterized by creativity, innovative projects and specialization, was seen in review. Their work cult and love for the company are the recurring themes within this family of entrepreneurs, now in their third generation. In their speech, Enrico Fava and his son Luigi greeted their guests while remembering the highlights of this long period of time, starting in 1937 when Augusto Fava, Enrico's father, first came to Cento. "70 years of enthusiasm, passion and commitment" is the phrase engraved on the silver platter, which the FAVA S.p.A. employees enthusiastically awarded Enrico during this special celebration. On this occasion, 65 employees who have been working for over 20 years for the company were awarded with gold medals for their loyalty to the company.